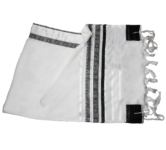 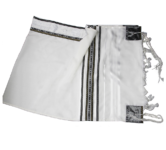 This is a feminine tallit set containing a prayer shawl adorned with pink stripes and patterns, a white kippa and a bag. 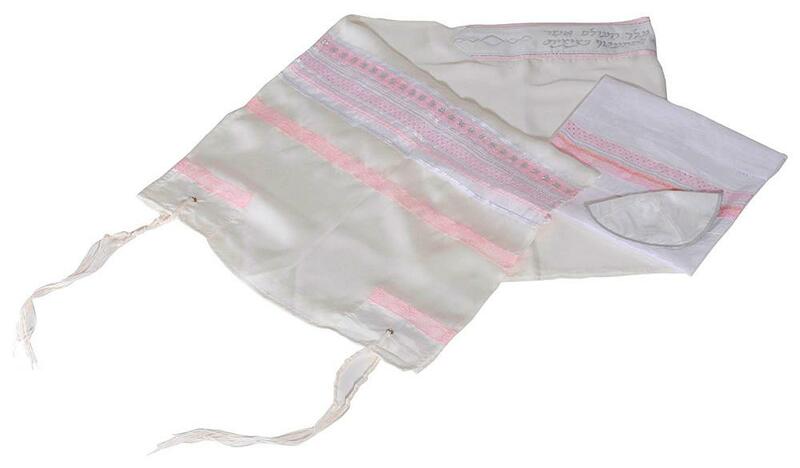 This feminine tallit set is a nice idea for Bat Mitzvah gift as young girls will certainly love its pink decorative elements carefully conceived by the Israeli masters. 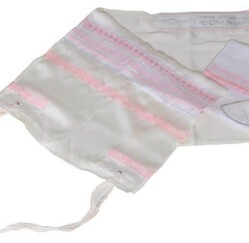 Pink is known as the perfect color choice whenever you have a teenage girl in mind. 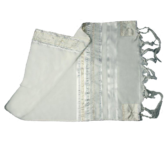 An intricate hand made pattern applied on the pink stripes is nicely emphasized by the blue touch and by the white silk background. 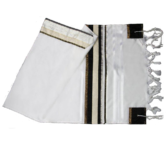 The kippa and the bag are also white, with a discrete silver edge.